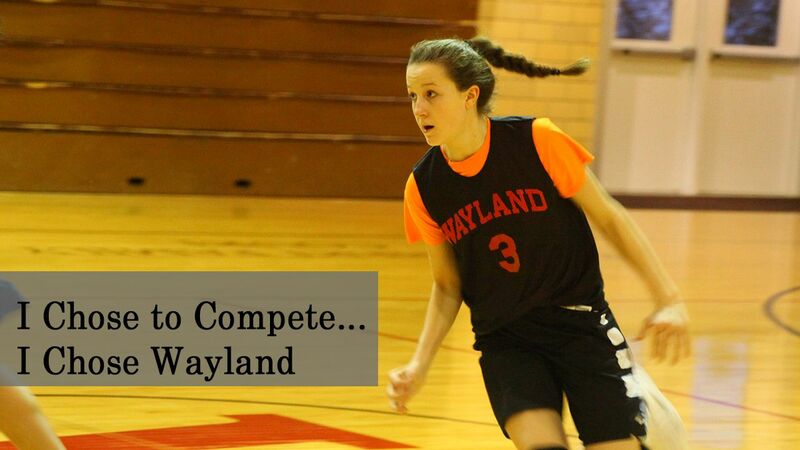 If you're interested in a school devoted to genuine sportsmanship and success on the fields and courts, you will find opportunities to play and succeed at Wayland. Some of our teams are cooperatively run with Beaver Dam High School. Before participating, please be sure to complete the health form and alternate year physical requirement. Athletic requirements listed below were established by policy in 2018 and maintain the focus on physical health as a pillar of our community. Freshman are required to participate at least 2 team athletic sports, one on them must be a sport offered in the fall season. All 10th, 11th, and 12th grade students are required to participate in at least 1 team athletic sport. Forensics would not count toward this requirement as it is non-athletic, but would continue to be held M, W, F each week, with Physical Education on the alternate days. Physical Education classes, with a specified curriculum would be held year-round, during sports time for students not participating in a team sport. Students will be required to attend PE classes on a rotating basis, with 3 days on one week, 2 days on the next week in the PE rotation. Off days would be study hall, or an alternate activity requirement. Curriculum for PE classes will be obtained by the Athletic Director. Students may choose to participate in 2 or more team sports. If a student participated in 2 teams sports, the off season would require a PE, study hall, or an alternate activity requirement.